This is a great way to make your own gift wrapping paper. It’s really easy to do, and you can achieve some stunning results using only three items. 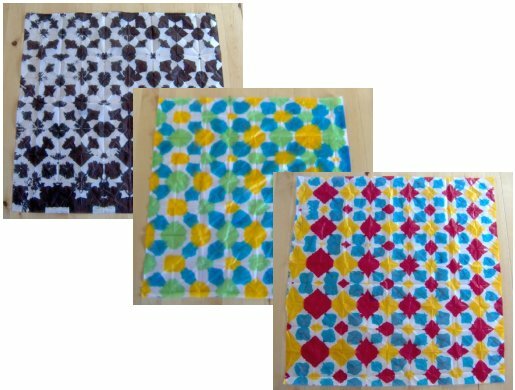 This project is for a bit of fun and as food colouring is water soluble, if it gets wet afterwards the dye will run, if you would like to get the same effect with permanent results (won’t run if in contact with water) then use permanent inks instead. 1. 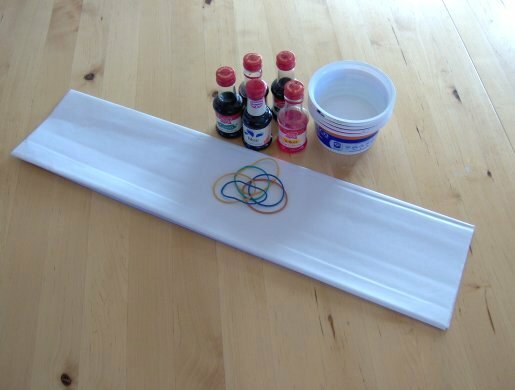 Protect your table top with newspaper as food colouring and inks may stain. 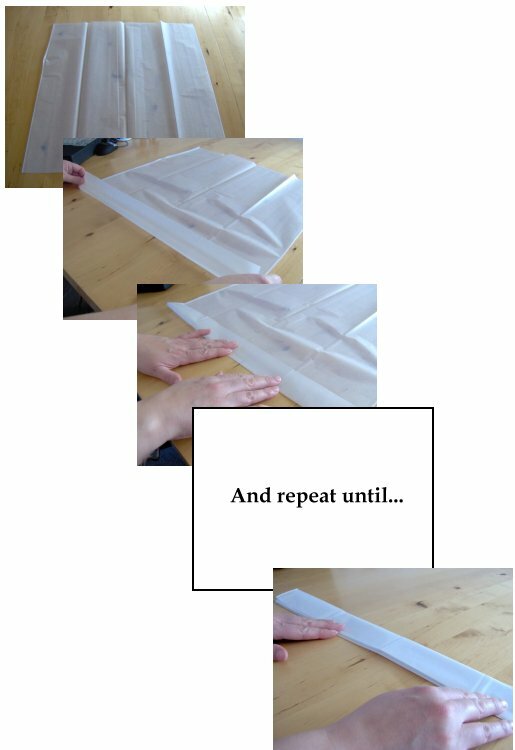 Take a sheet of tissue paper and fold over the edge by about 2cm, press the crease. 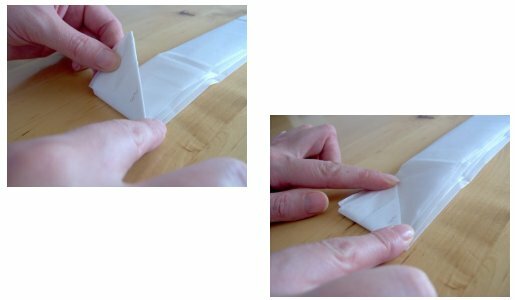 Turn over and fold by another 2cm and press, continue doing this until all the paper has been folded (as if you were making a fan). 2. Holding the paper fan together, fold the bottom right corner to the left edge to make a triangle, pressing the crease with your fingertips. 3. 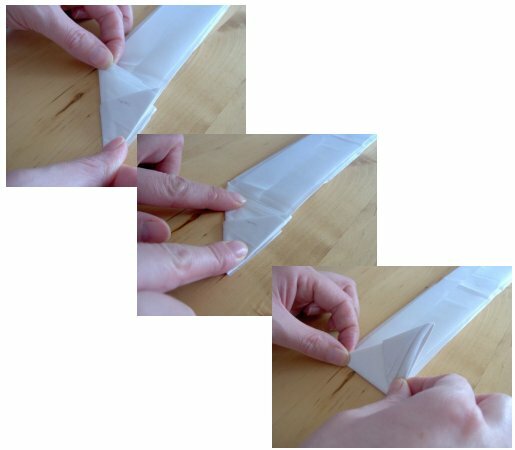 Turn over and fold the triangle straight up, pressing firmly again with your fingertips. 4. Turn over and fold the bottom left corner to the right edge to make a triangle, press and then turn over and fold the triangle straight up, again pressing firmly. 5. 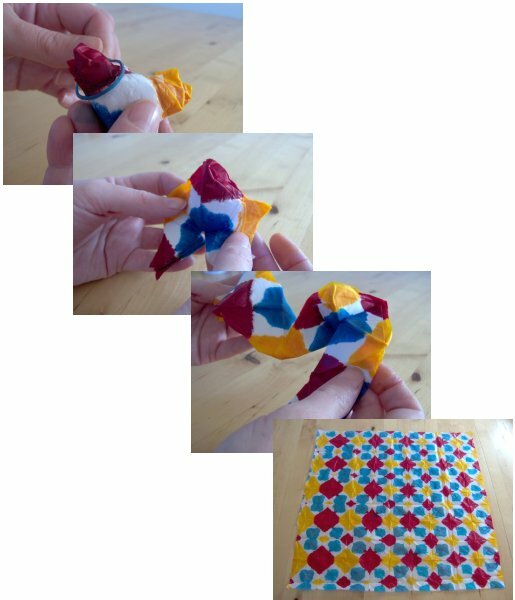 Continue to fold and press as in steps 2-4 until you reach the top of the paper. 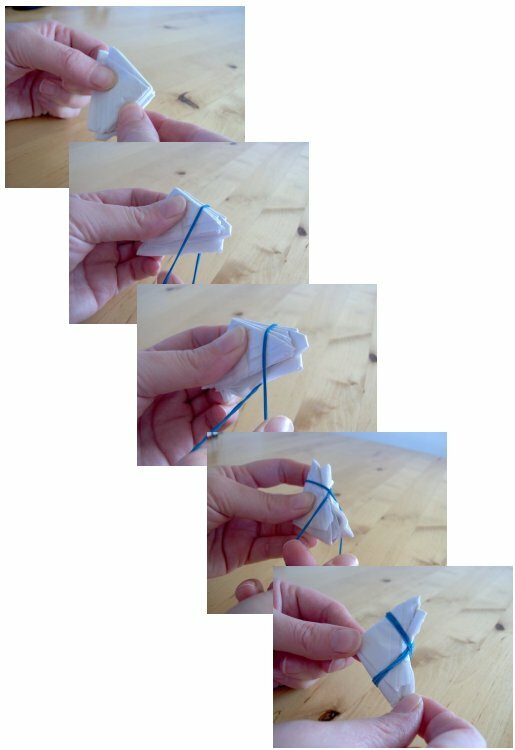 To hold the folded paper triangle together, put the rubber band around one corner, twist it and loop over the opposite corner, you may need to do this a couple of times. 6. 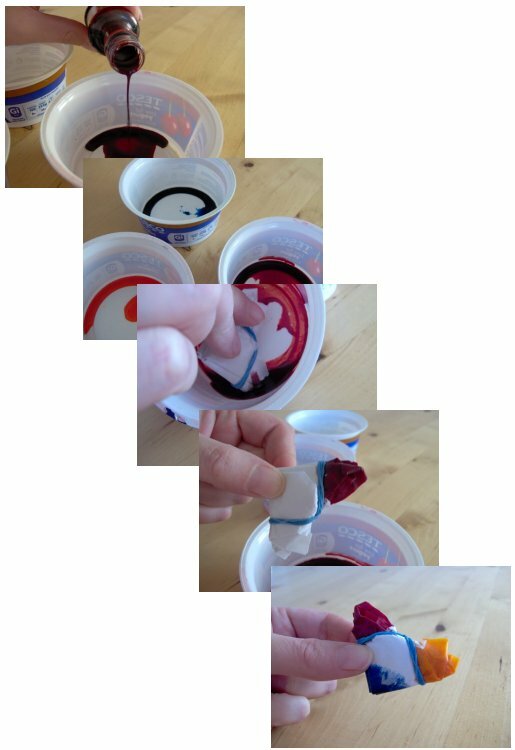 Pour undiluted food colouring or ink into small dishes and dip for 1 or 2 seconds each point of the folded triangle into a different colour for a multi-coloured effect, leaving the centre white. (for a two colour effect dip the points into just one colour, but still leave the centre white). 7. Take off the rubber band and very carefully unfold the paper (tissue paper is very delicate when wet and can tear easily). Leave to dry.